Lost Island Voyages strives to make each trip a unique experience. With only twelve passengers, they are able to customize each trip to accommodate every individual need. Lost Island Voyages welcomes non-divers, as well as divers. Beach parties, creek tours and island exploring are among some of their favorite activities alongside extraordinary diving and unbelievable sunsets. 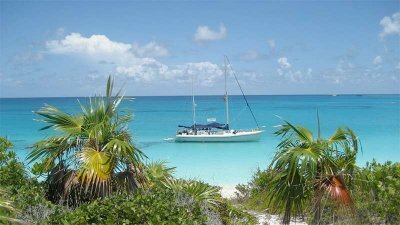 From Bimini and Grand Bahama, to Nassau and the Exuma Chain all the way down to Conception Island and San Salvador, Ray has spend the last thirty-plus years gathering knowledge of the Bahamian islands, waters, winds, creatures, culture and way of life. He uses all this to put together the perfect trip for those who yearn for incredible diving or snorkeling, and the unknown adventures that await them above and below the waterline.